Notable landmarks of the older upper town include the Romanesque cathedral, rebuilt in 1483 and 1639; the Cappella Colleoni (1470-76); the Basilica of Santa Maria Maggiore (begun 1137); the baptistery (1340); and the Palazzo della Ragione. 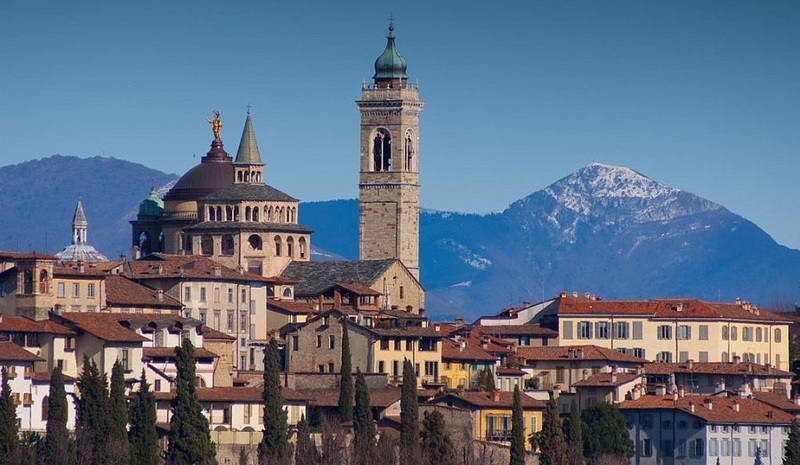 In Bergamo the Middle Ages, the Renaissance and the Baroque styles converge throughout the city. Bergamo is an industrial centre with textile mills; engineering works; and cement, mechanical, and electrical manufactures. The Italian Isole Borromeo are four tiny islands in Lake Maggiore, off of Baveno and Stresa, in the Novara province, in the Piemonte (Piedmont) region, of northwestern Italy. The islets are named for the Borromeo family: the Isola Madre, Isola Bella, Isola di San Giovanni, and Isola Superiore, or Isola dei Pescatori. They are occupied by a picturesque fishing village. 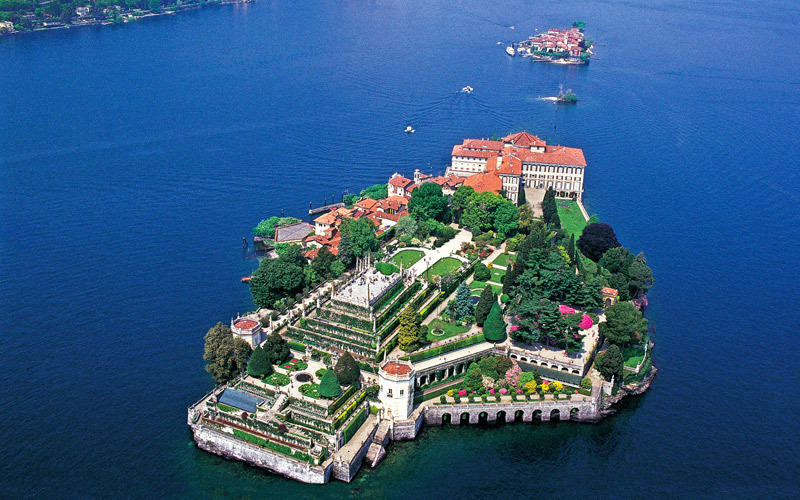 The lavish gardens of the Isola Bella may be visited every day from April to October. In two hours time you can reach Lugano in Switzerland. 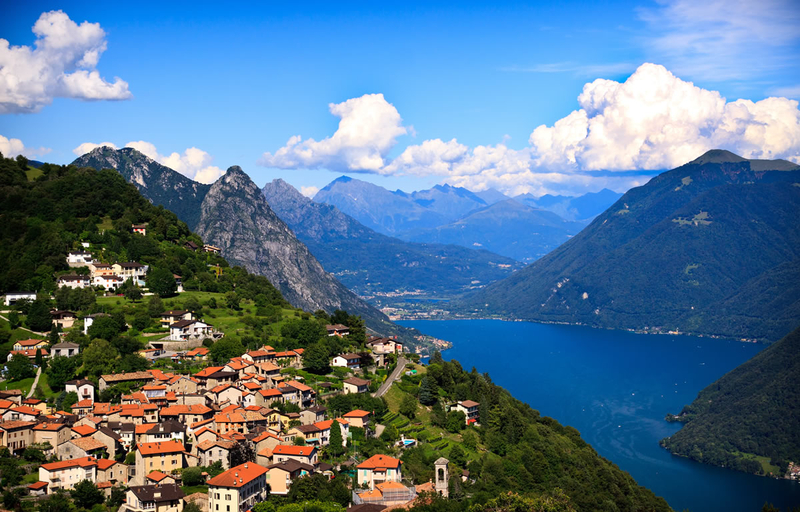 Except around the Bay of Lugano, the lake's wooded shores are more precipitous and desolate than those of the larger Italian Alpine lakes, and its northeastern arm is bounded by steep, rocky mountains. Lugano is Italian in appearance and character. The town's main landmarks are the 13th-century Cathedral of San Lorenzo; the former Franciscan Church of Santa Maria degli Angioli (c. 1499), with frescoes by Bernardino Luini; and the Villa Favorita (1687) in the suburb of Castagnola, housing one of Europe's greatest private art collections. Originally known for its curative mineral springs, it became a fashionable spa and summer resort in the 17th century. Since the late 19th century, it has developed as one of the world's most famous winter-sport centres and was the scene of the Winter Olympic Games in 1928 and 1948. The resort is on an international highway, linked by rail with international lines, and has an airport to the northeast, at Samedan. 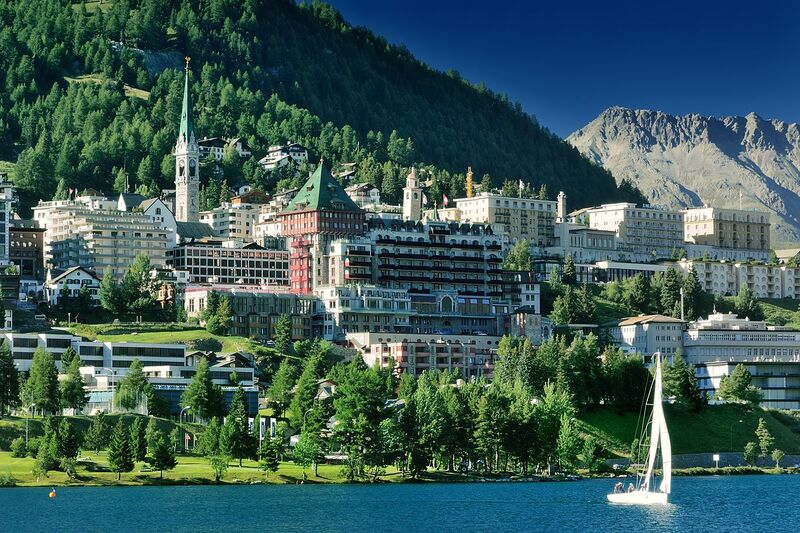 Saint Moritz depends on tourism and the hotel industry. It is in fact the destination of the International jet-set.